This is a short drive day. We timed things so that we could easily arrive during the work day so we could visit the realty office and pick up our keys. Very little to talk about for this short 2 1/2 hour drive. The trip up I-25 northward from Raton is pretty tricky. With the trailer, it was a lot of effort for the truck to wind its way through the mountain passes. We picked up our keys from the realtor and then had a nice outdoor lunch in downtown Colorado Springs. We ate at a place called La Creperie, which had outdoor seating and welcomed pets. Howie sat at our feet and people-watched. He dog-watched too, since there were so many dogs. We enjoyed some savory crepes for lunch and watched the Uncle Wilber Fountain entertain the kids across the street. 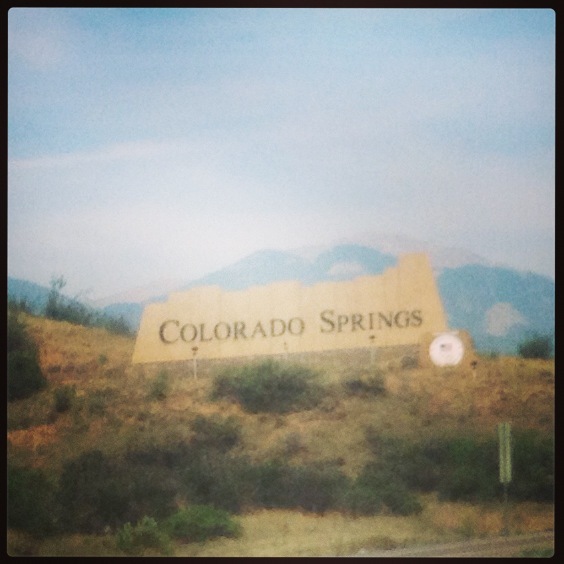 For the first week, we stayed in the on-base lodging at the Air Force Academy while I spent the days at the house painting painting painting. But that’s for another post. 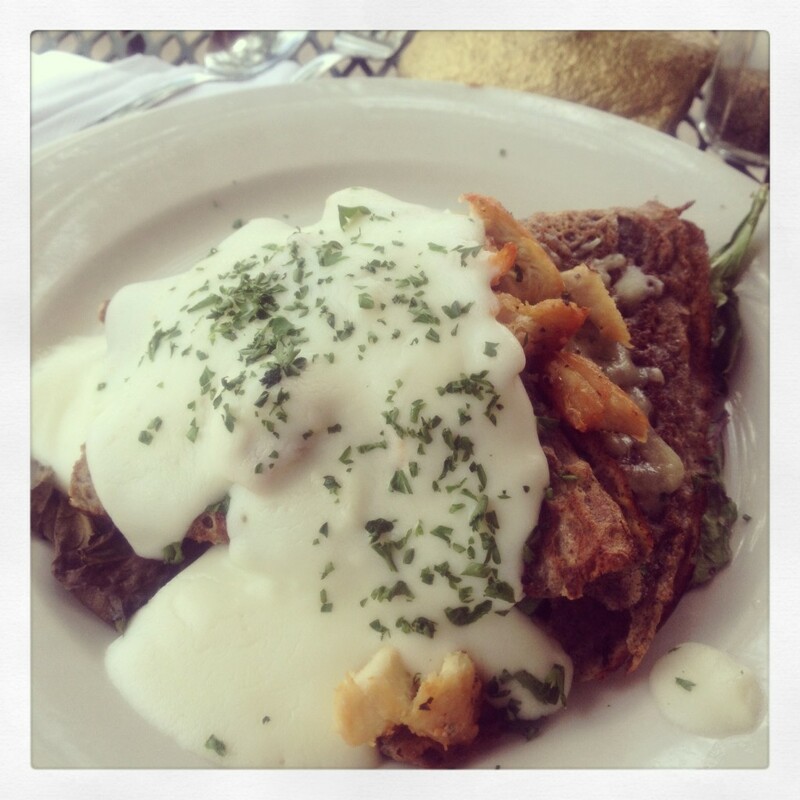 Whole wheat crepes with chicken, avocado and baby greens, smothered in bechamel sauce. 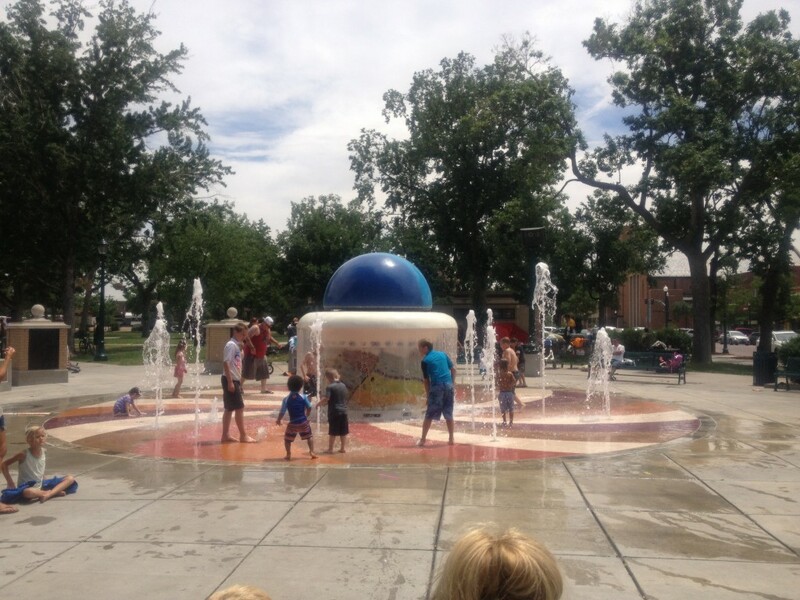 The Uncle Wilber Fountain entertains kids all summer long.